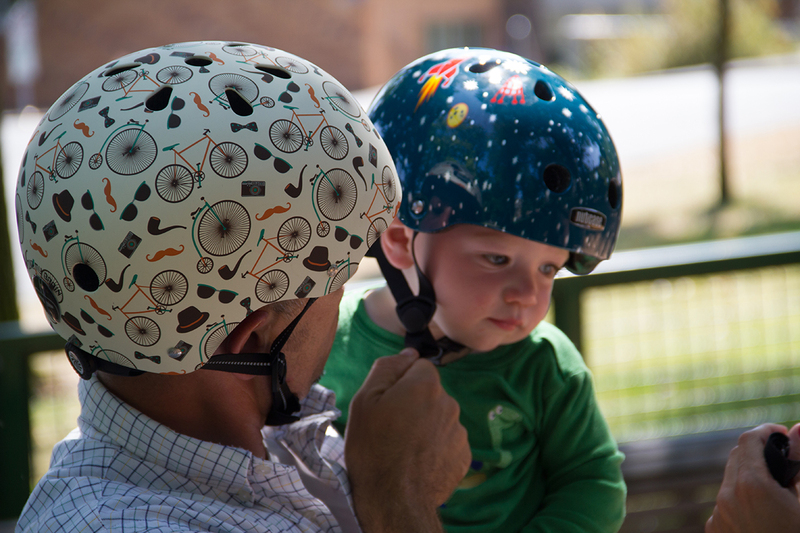 Urban helmets for everyone. Please check our current catalog. The NUTCASE story begun in Oregon state, USA. Michael Morrow as a passionate Beaver fan, made a cheerleading helmet and wore it to a football game. Enthusiasm of other fans over that custom made helmet started him thinking… sports helmets, beeing a part of requiered gear, are quite unpopular. Mostly beacuse they are dull. They should be designed to reflect a persons personality! And so… in the year 2000 the NUTCASE was born. It took Michael 6 years to develop his idea, and in spring 2006, Nutcase was presented to the world. The general idea was to design multy-purpose helmet with highly visual graphics, so it would be popular among young and adult users. He felt that with the right kind of creativity, kids of all ages would be inspired to use helmets, rather than being told to wear them. With their unique design, NUTCASE helmets give their users the opportunity to express their personal style. Together with a innovative and simpler helmet shape they intend to be more visauly fun and expressive. 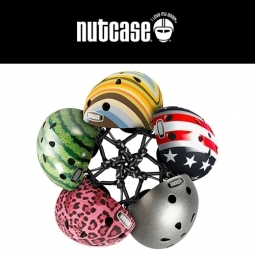 In addition to the above NUTCASE helmets with top quality materials and precise manufacturing meet all safety standards. Another special feature is the magnetic bucle, which prevents a young user from pinching and allows maneuvering with one hand. Very convenient feature for our youngest riders!